Registrations are now open for AIR2020! The details are available here and here. If you are a Rotarian who is contemplating joining our Fellowship or a Rotacyclist without a Username and Password, please register via the link "Create an Account" under the Login Icon. 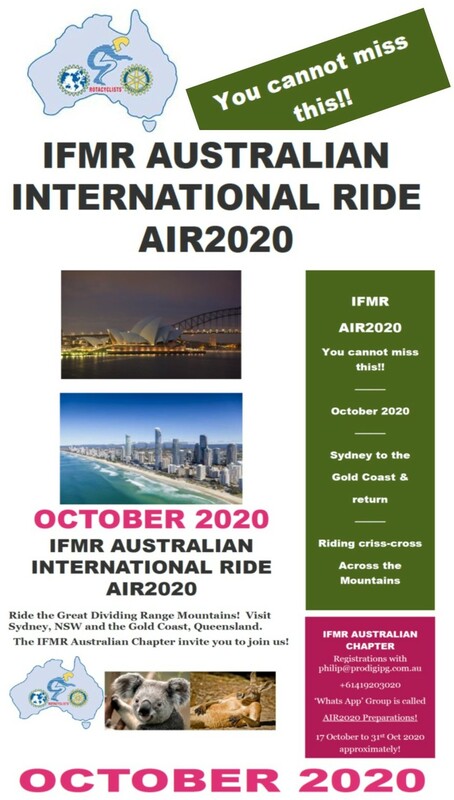 ($25.00 Annual Membership Fee apply's), an invoice will be emailed including payment details from IFMR Australia to your email address within 24 hours of registration, only after payment of Annual Membership Fees will you be given full access to "Members Login" Section of Website. 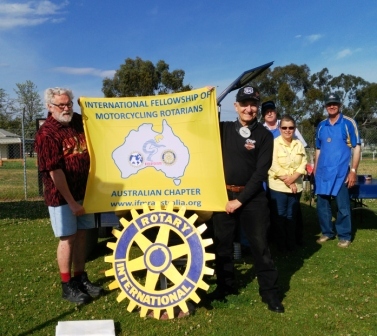 The formation of the International Fellowship of Motorcycling Rotarians was sponsored by the Rotary Club of Loxton, District 9520, South Australia. The IFMR gained official Rotary recognition on the 13th January 1992, and has grown steadily over the years. 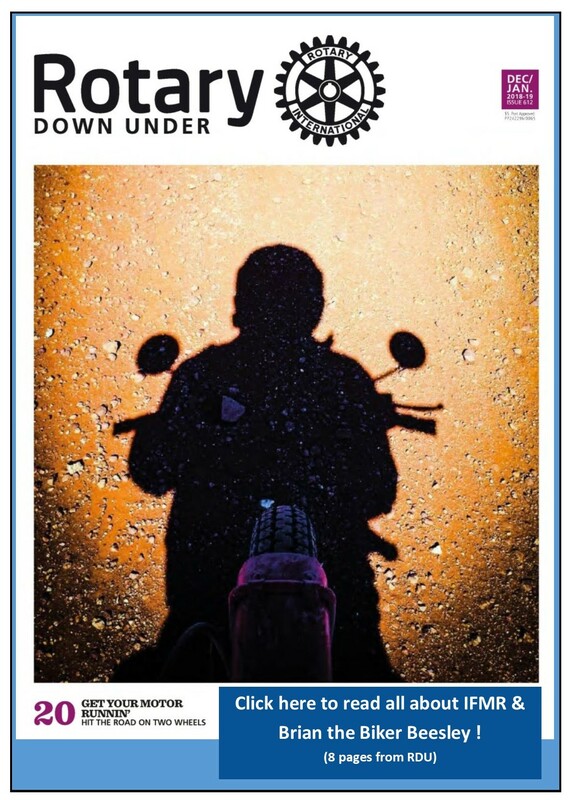 Membership is open to Rotarians who share an interest in motorcycling. 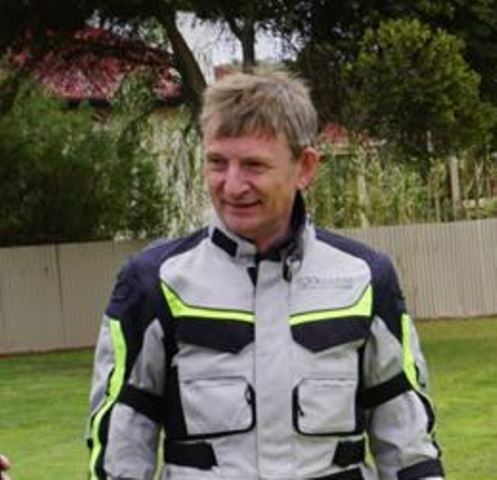 One of the aims of this website is to promote the IFMR Australian Chapter, to Rotarians and the general public. 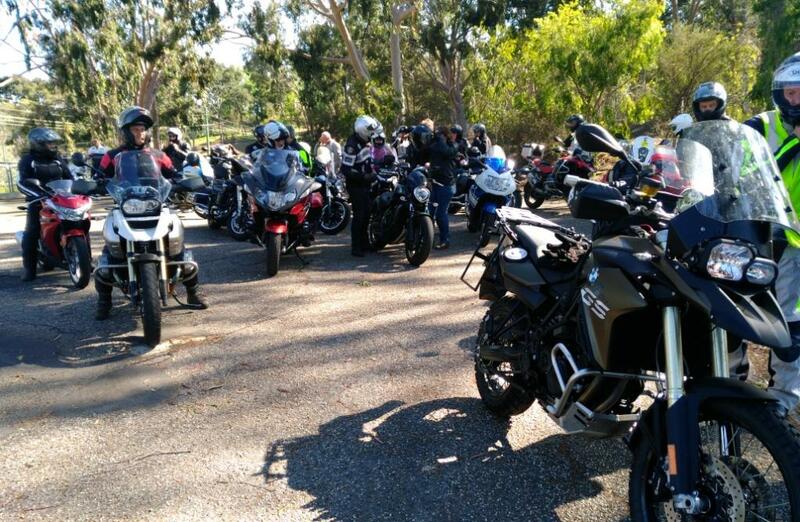 However its main aim is to provide Members with a means of furthering friendships, sharing ideas, notifying members of rides and other upcoming events of interest, and allowing them to contribute to regular Newsletters. This website has the ability to develop in just about any way that Members, or other interested persons, wish. Please send your comment via Contact Us menu option. If you are already a Rotacyclist, and your current email address is in our database, then login to this website by using the Username and Password allocated to you by the Administrator. 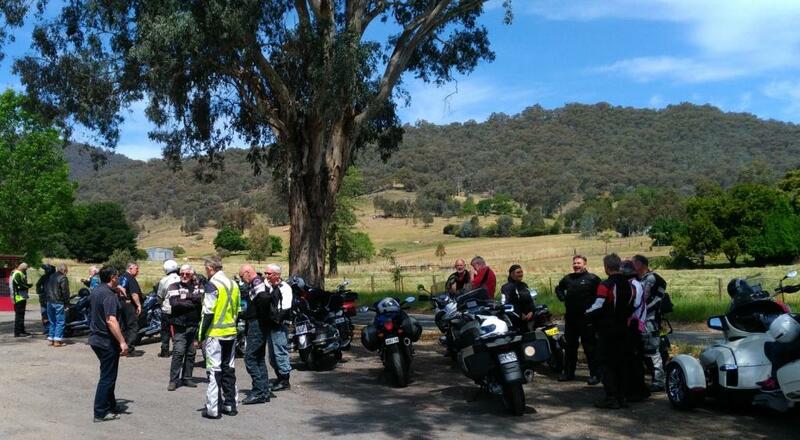 is a group of Rotarians dedicated to promoting Motorcycling as an opportunity for fellowship. This fellowship operates in accordance with Rotary International policy, but is not an agency of, or controlled by Rotary International.